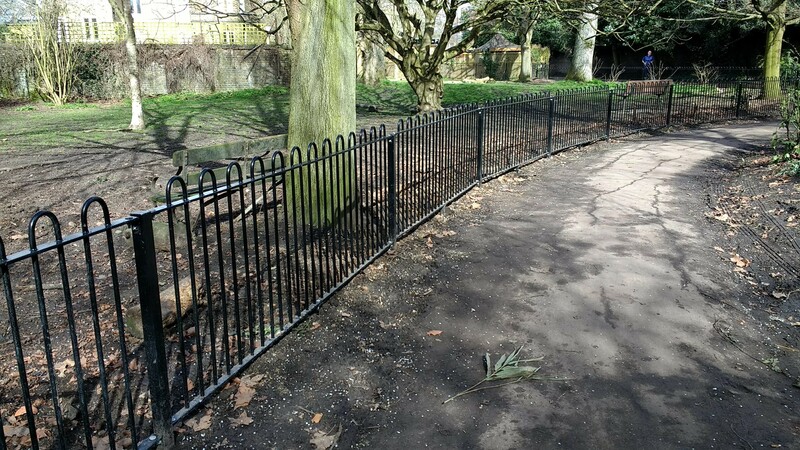 Will the Ravenscourt Park dog enclosure railings actually keep dogs enclosed? “The railings around the dog area to the north of the park have been changed as part of the work to the Goldhawk Road entrance. “The height of the railings is broadly in line with those of the play areas in the park; to install any that are higher would create an area that feels very enclosed. There are some small gaps at the bottom but due to the undulating ground this is impossible to eliminate. “Dogs are not children. Most especially puppies in training – who can both get through AND under the new railings. It is a dog enclosure, and as such should be adequate to meet said description. It’s to keep the big dogs in ,the little dogs could always get out before ,owners should just keep an eye out when in the enclosure .i can understand why it isent higher as it would look like a cage ,the real answer is some chicken wire fitted to the railings , that would keep the tiniest pooch in .